You are here: Home / Misc. / Education / African Genius. 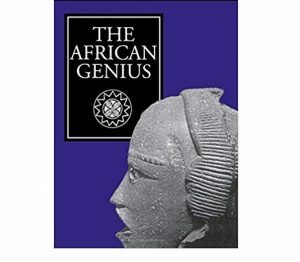 (ThyBlackMan.com) The past few weeks I have shared information about the accomplishments of Africans that go unrecognized and overlooked due to a deliberate movement to suppress, obfuscate and ignore African history. We spoke about early boat building, navigation of the rivers and lakes in African and later circumnavigating the world by Africans. Celebrating African and Black history during the shortest month of the years is counterproductive even though we need the exposure. We should celebrate African history all year long, daily because it is human history. Let’s look at the things we take for granted that were begun, invented and developed by our aboriginal African ancestors. Africans developed the concept of family as a social as well as a biological unit. It formed the basis of social organization and culture. Africans recognized the importance of blood connections and used those blood connection what we call families as the core foundation of their group, tribe, clan and society. While animals have instinctive ways to determine leaders for example the proverbial “alpha male”, humans developed specific methods to create formal leadership and governance. On the most primitive level leadership was conducted by group consensus through elders who served as leaders because of their life experiences and direct connection to their family members. These elders were charged with not just wisdom in day to day affairs but also with propitiating the spirit realm, serving as intermediates between the people, the forces of nature and the invisible energies they perceived around them. The leaders created traditions, rituals, and ceremonies to acknowledge births, deaths, seasonal changes and to map the passing of the heavenly bodies. This was the origin of Adams Calendar, Nabta Playa and the other megaliths we mentioned in previous weeks. This is also the origin of what we call culture. These rituals and ceremonies included chants, hand clapping, foot stomping and rudimentary instruments. In short Africans invented government whether it was tribal elders, tribal council, selected chiefs, hereditary chiefs or kings and queens. As their groups expanded over territory and their populations grew, they developed hierarchies for social administration, they created divisions of labor, work details and they encouraged and incorporated artistic skills into their daily lives. So when we attend a wedding funeral or witness governments in action remember our ancestors were the first to do these things! When we look at Africa we see the beginnings of social/civil organization what we now call civilization. We see aboriginal people exchanging, battering and trading amongst themselves and between other tribal groups. This was the beginnings of commerce across the continent and later into Asia and Europe. Our ancestors were the first to chop and carve trees into boats and canoes, to weave reeds to make water tight canoes and we were the first to use these boats, canoes and sailing vessels to trade our surplus crops, goods and artifacts first throughout Africa then the world. Europeans admit the first articulated and practiced system of ethics (Maat) originated in Africa. Timelines indicate the first monarchy/dynasty, extensive territorial occupation and social organization originated in Africa. Africans had empires but they were not all created by violence and invasion, some were some were not. In review Africans created: social organization; we created rites of passage to mark the growth and transition of members within the community and determined how they each fit into the social scheme via trial and error and later formal tradition. We invented rituals and ceremonies, we invented trade and commerce. We created metallurgy, working in metals like gold, bronze and iron. We invented clothing, we invented adornment, demarcations and decorations to distinguish social status, to tell whether a female was married was an adolescent or a male was an initiated member of the community, a warrior or an elder. We were the first to map the heavens. We recognized sound had power and invented music, instruments and incorporated music and sounds into our daily activities. We invented meaningful symbols and their recognition whether it was hieroglyphics on papyrus, on the walls, the megaliths or Her-em-akhet (misnamed the Sphinx by the Greeks). We created technology whether it was a digging stick, a rudimentary plow, the ramp, and pulley. We developed farming techniques like crop rotation, using fire to burn the soil to give it nutrition. We were the first fishermen. We created the first planned urban centers and cities. We were the first educators. I could go on but you get the drift, we are a creative, inventive and profound people. This creativity resides in our DNA; it is in our genes and blood. We do ourselves our ancestors and progeny a disservice if we allow our genius to atrophy, not be fully developed or expropriated by others for their benefit and not ours!